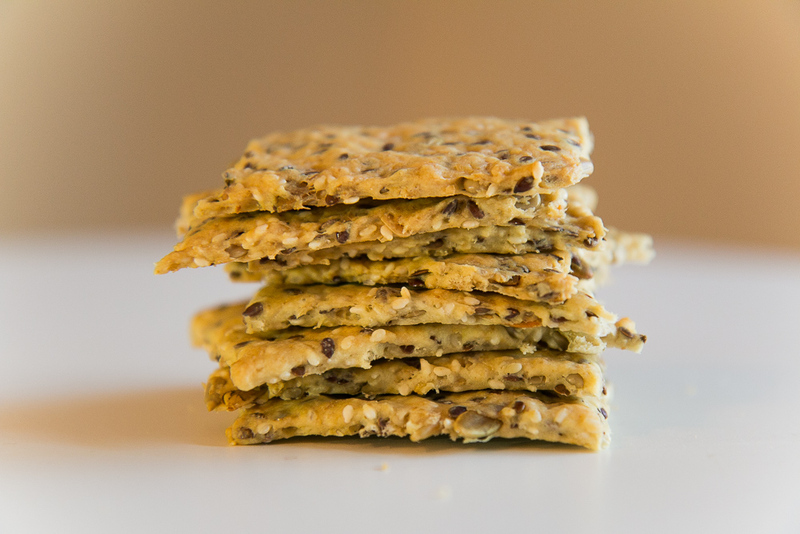 A wonderful, healthy treat we pamper us for breakfast or a quick snack is crispbread! Top them with what you like and you will get wings! Roast all the grains gently on a pan. Mix the roasted grains, flour, baking powder, oil, water and salt. Mix with a spatula. The dough should be steady. Divide the dough into two equal portions and roll out between a silicone baking surface (bottom) and baking paper (top) so that the dough fills the entire area. Remove baking paper. 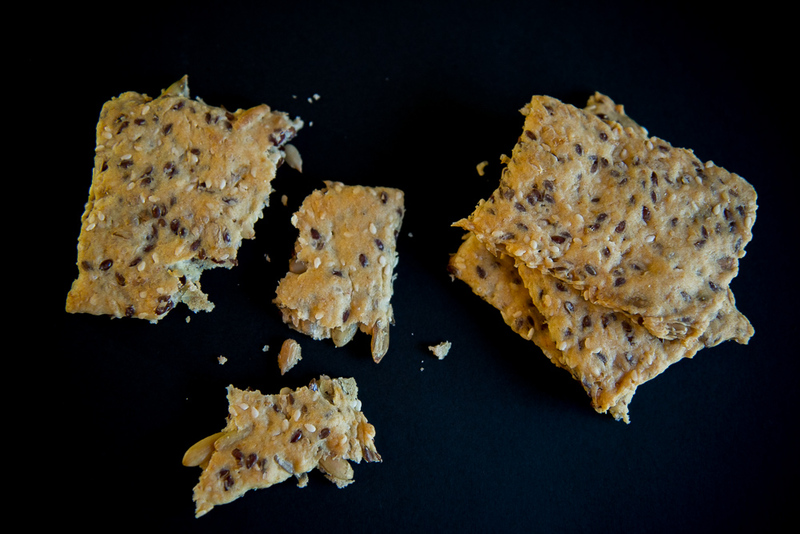 Use the spatula to cut the dough into squares and then bake at 400 degrees Fahrenheit for 15-20 minutes. Is this a 3rd of a mixed cup of oats, seeds etc, or a 3rd of a cup of oats, plus a 3rd of a cup of each seed etc? It is a 3rd of a cup of each of the seeds, oats etc. Hope it helps :o) Enjoy!